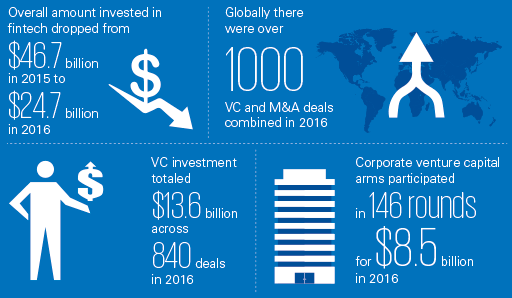 Source: The Pulse of Fintech, Q4 2016, Global Analysis of Fintech, KPMG International, February 21, 2017. © 2017 KPMG International Cooperative (“KPMG International”). KPMG International provides no client services and is a Swiss entity with which the independent member firms of the KPMG network are affiliated.